Looking for a fast, simple to use, free way to share your Internet connection with several computers? AnalogX Proxy allows multiple machines on a local network to access the Internet through one machine - great for small... Offers to install promotional, third party software. 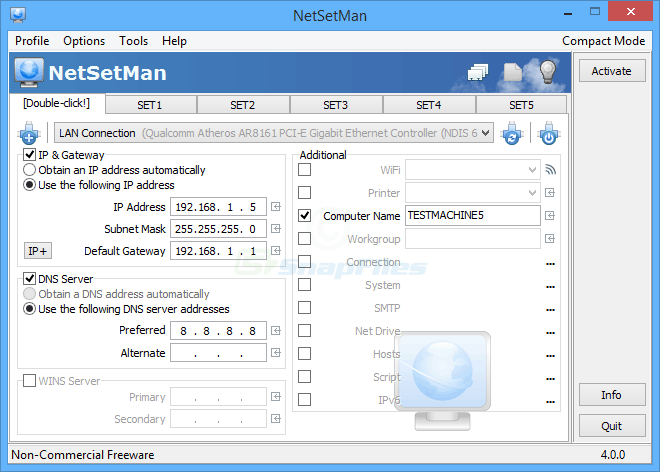 FDBGET allows you to retrieve the forwarding table entries of switches (layer 2 devices) for a specified SNMP community and produces a list of MAC addresses connected to the interface. WinSock XP Fix offers a last resort if your Internet connectivity has been corrupted due to invalid or removed registry entries. It can often cure the problem of lost connections after the removal of Adware components or... Offers to install promotional, third party software.